Today I will be spending the first half of my favorite day of the week at M & T Bank Stadium. Why is a Broncos fan spending going to a Ravens game you ask? To celebrate Ray Lewis’ induction to the Ravens Ring of Honor. I love Ray Lewis, and I loved the old Ravens team of 2000-2001 (the Shannon Sharpe years) – except when they were playing the Broncos. 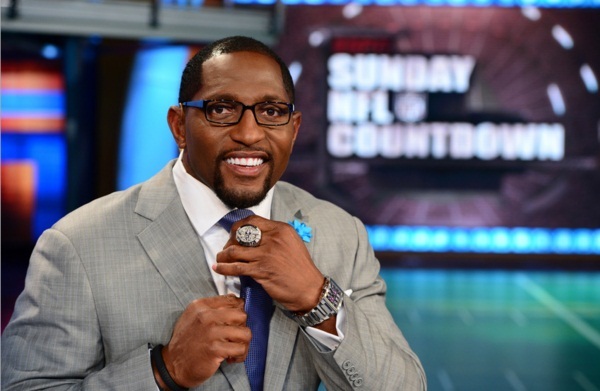 In his 17 years with the Ravens, Ray Lewis was selected to 13 Pro Bowls, named Defensive Player of the Year twice, appeared in two Super Bowls, and named MVP of Super Bowl XXXV. Lewis becomes the 16th member of the franchise’s Ring of Honor joining former Ravens Jamal Lewis, Matt Stover, Jonathan Ogden, Peter Boulware, Michael McCrary, Earnest Byner, former owner Art Modell as well as former Baltimore Colts Johnny Unitas, Raymond Berry, Lenny Moore, Art Donovan, Gino Marchetti, John Mackey, Jim Parker and Ted Hendricks.